Hi, my name is Nick and I’m the proud owner of this perfect villa. But if you are looking for holiday accommodation where luxury is the norm, then please join me as I walk you through “villa Vouno”. The setting for the villa is in the glorious village of Pissouri. Surrounded by mountains and valleys, the glorious scenery is complemented by acres of unspoilt natural beauty and miles of virgin beach. This wonderful village is situated on the coast, high above sea level where you have the best of both worlds... mountains and the sea. But do not despair… you are not in the middle of nowhere. 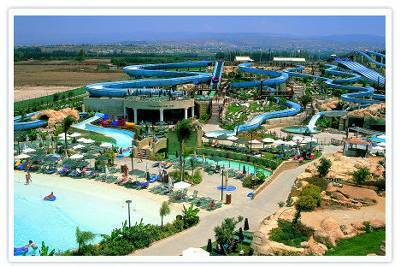 Pissouri is conveniently located just off the main motorway that accesses both Paphos and Limassol. 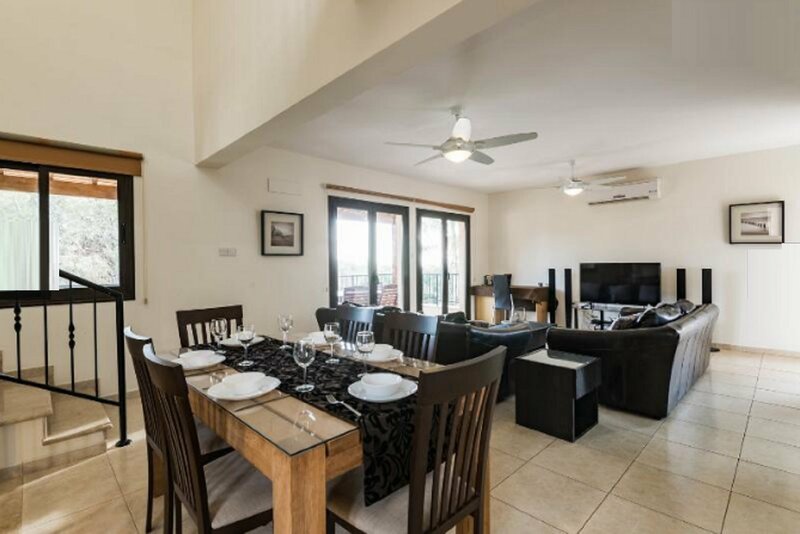 The Paphos international airport is an easy 20 minute drive and it’s a scenic 25 minute drive to the picturesque Paphos harbour and town centre. You will fall in love with the quaint traditional village of Pissouri. 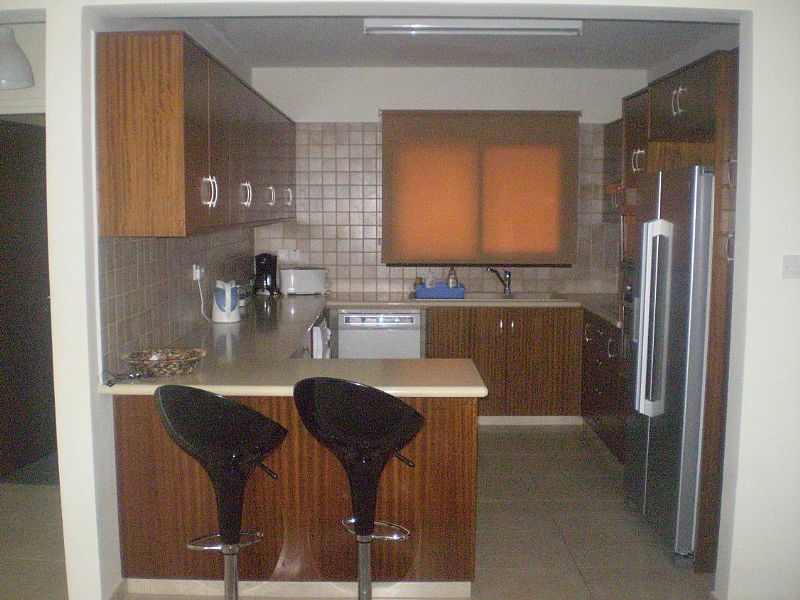 Here you will find true Cypriot hospitality. The village all the necessary amenities and facilities from supermarkets, butchers, pharmacy, gift shops, beauty salon, gym, banks, bars, pubs etc. This village is FULL of life and boasts over 40 RESTAURANTS. A meze at the local taverns is a must for all food lovers. The centre of the village you will find the village square (10 min walk from the villa). The square has been pedestrianized with stone cobbled floors and has beautiful water fountains. This is real Cyprus with real Cypriots and a real traditional feel. The square is perfect for a lunch time snack, a gourmet meal or if you are up for it, a huge traditional meze (a 15 course meal). This village has it all and the views are breathtaking. You will be absolutely spoilt for choice when it comes to eating out! Try one of Pissouri’s famous courtyard restaurants where your setting is in an enclosed private garden or dance the night away in own of the towns lively pubs. There is definitely something for everyone in this lively little town. The front entrance door opens into the main living area. This living room (fully air-conditioned) is bright with sunshine flowing in through a wall of glass patio doors that lead out onto the main outdoor patio The room is decorated with a modern Italian lounge suite, fine artwork, coffee and side tables. It has a 42’ plasma T.V, DVD, surround sound system and satellite. There is a WC on this level for your use. The kitchen area is open plan but is separated by a breakfast bar. This kitchen is a cook’s dream. It has modern appliances including fridge/freezer, oven and hob, filter coffee machine, waffle maker, blender, popcorn maker, griller and a variety of high quality designer pots and pans to make your cooking experience an event. You are on holiday…enjoy it. The dining room is open plan and very spacious (fully air-conditioned). It comfortably seats 6 adults around the modern dining table. 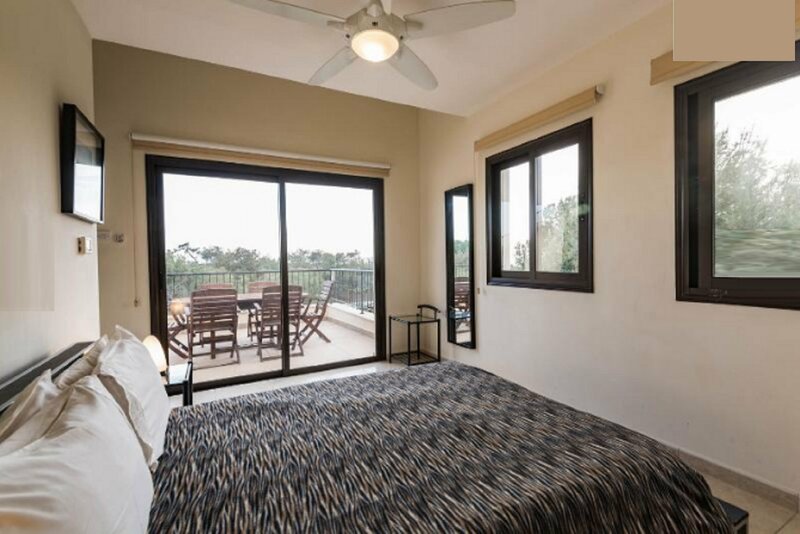 Enjoy views over the forest and the sea through the double glass patio doors. Two double glass patio doors lead out to the main veranda. The veranda is large and has an outdoor dining table that comfortably seats six. This is where you will be WOWED! 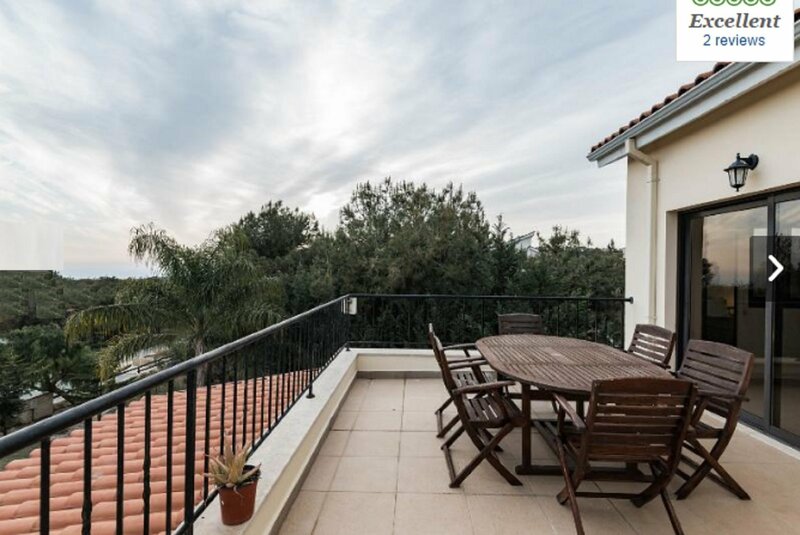 Prepare yourself for glorious views of the pine forest with views of the blue Mediterranean Sea as its backdrop. The fragrant scent of Pine is constantly lingering in the air, the kind of smell where you know that you are going to have a GREAT holiday. 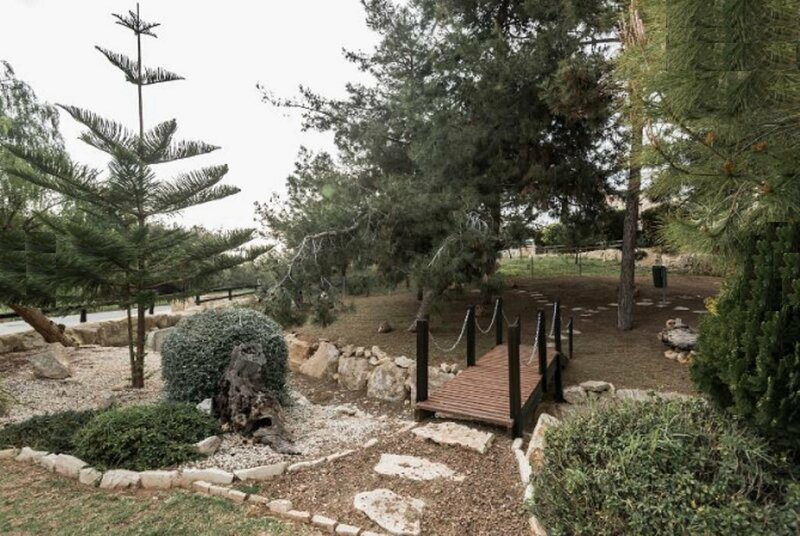 Touching the back garden, you will find a “picture perfect” landscaped greenbelt. The gentle sound of the waterfall simmers down a stream and collects in a pond at the bottom. THIS IS A PIECE OF PARADISE. The views at night are equally spectacular! Look upward to a star studded sky that resembles a planetarium. It will redefine your aspect of a clear night. Dine alfresco every day or night, its prefect! The great thing about Cyprus it the fact that the weather is so predictable, and although the villa has all the luxury comforts you want, you will probably be spending much of the day outside. The outdoor facilities will make your holiday extra special...YES THERE’S MORE! Walk down an internal staircase to a HUGE adjoining annex! This is the entertainers dream. 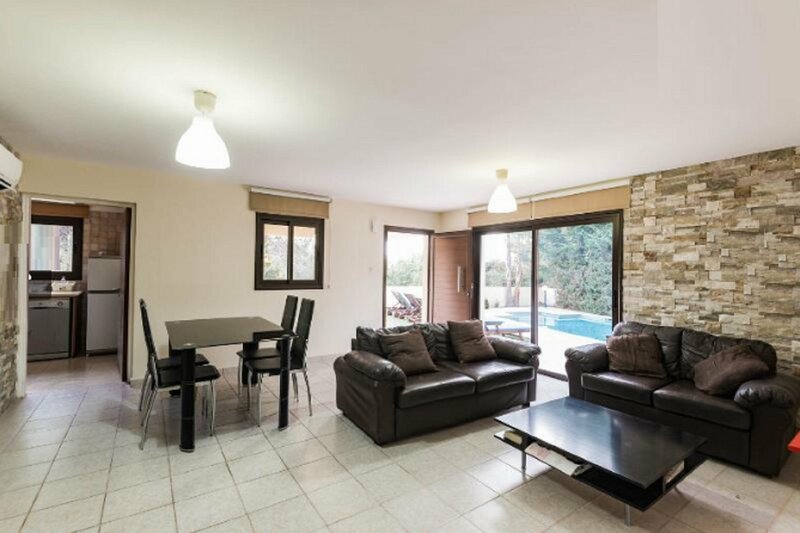 Its poolside of cause and is extremely large (larger than most apartments), it has its own private kitchen with all its own facilities! Double sink fridge, hob and oven, extractor etc... just so you don’t need to wonder off too far if you are soaking up the rays poolside. 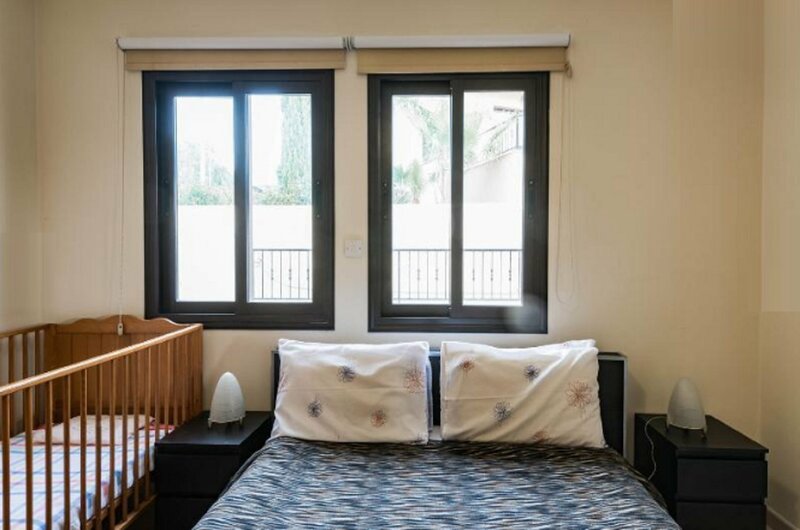 The annex further has its its own equipped lounge and dining room for 6 adults, add the benefit of two bedrooms (1 double and 1 twin/double) both en-suite makes this stunning annex completely self sufficient. An extra shower room with basin and wc so you can rinse off before going back upstairs. The annex too has its own outdoor dining area for upto 6 adults. Should you want to stay outdoors all day, try cooking up a storm with the barbeque area and the souvla (Greek BBQ to slowly cook meat on large skewers). You will be cooking in seconds with this modern gas burning barbeque. 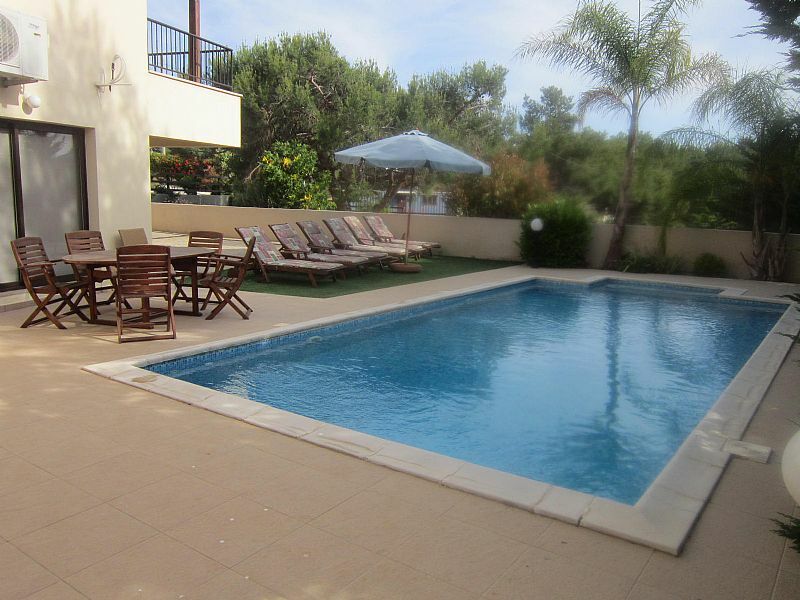 The swimming pool is lovely 10M X 5M in size. 6 full size sun patio beds allow you to completely relax as your body absorbs the sunshine. Use one of the cooler boxes to keep your refreshments ice cold by your side. All outdoor areas are TOTALLY private and are not overlooked in any way! N.B. the swimming pool area is not enclosed and therefore it is not suitable for unsupervised children. 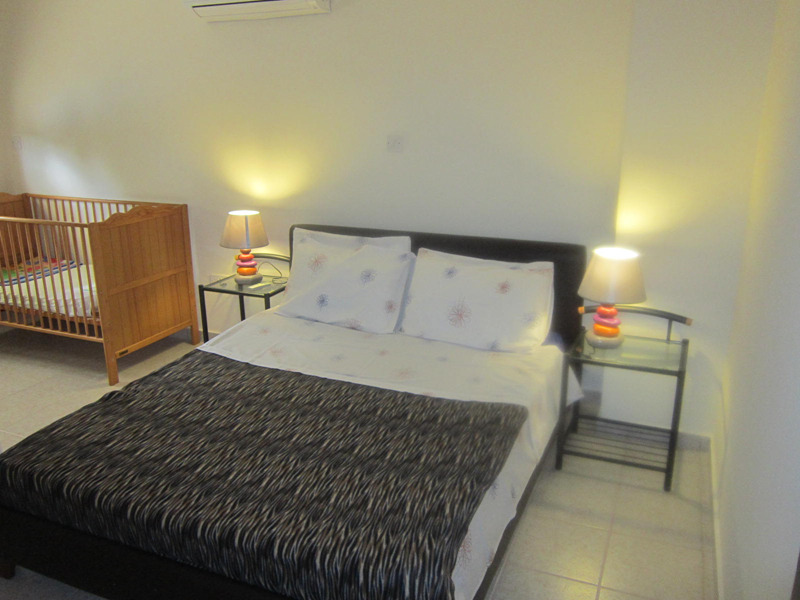 All bedrooms are master bedrooms, all with en’suite facilities. The first master bedroom is on the ground floor (the same level as the living area). It has a wall of built-in wardrobes that would accommodate a queen’s ample luggage. 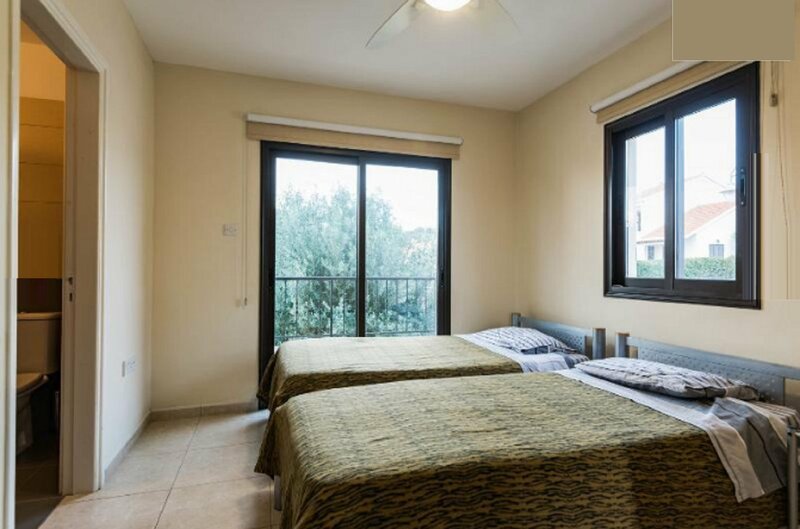 This bedroom is spacious and boasts a double bed fixed around an Italian bedroom suite. The side tables with their ambient night lamps warm the room. The room is of course en-suite with a shower, WC and basin. The second master bedroom is large and has two single beds. It is similarly decorated as the first. It has its own glass patio doors leading to a private patio overlooking a luscious greenbelt park that is meticulously landscaped. This room is too en’suite with a shower room, basin and wc. 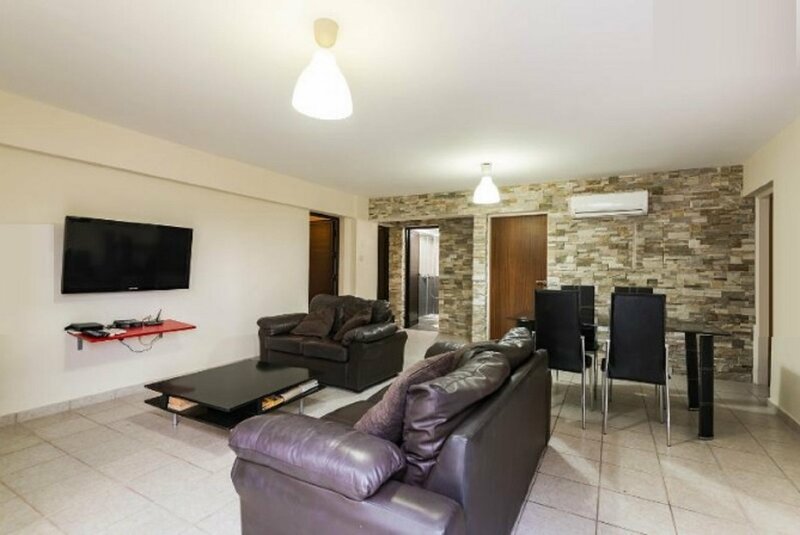 My aim is to provide my clients with SUPERIOR quality accommodation that is meticulously clean with facilities that I would personally feel comfortable staying in. Your privacy will always be respected. Don’t forget, it will be up to you to get out and enjoy Cyprus’ many attractions. Whether you enjoy a cultural day out, a day at the beach, a night on the town or just a relaxing quiet walk along the beach it’s what you do that will make your holiday unforgettable. The area, facilities and things to do! 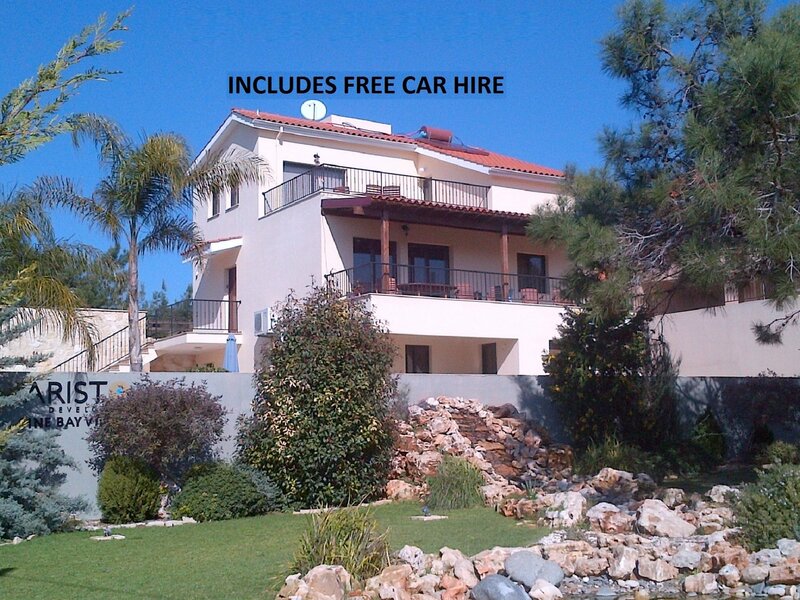 You will have unlimited FREE USE of a reliable car for the entire duration of your stay! The car would be a 4 door Toyota Corolla (or equivalent). 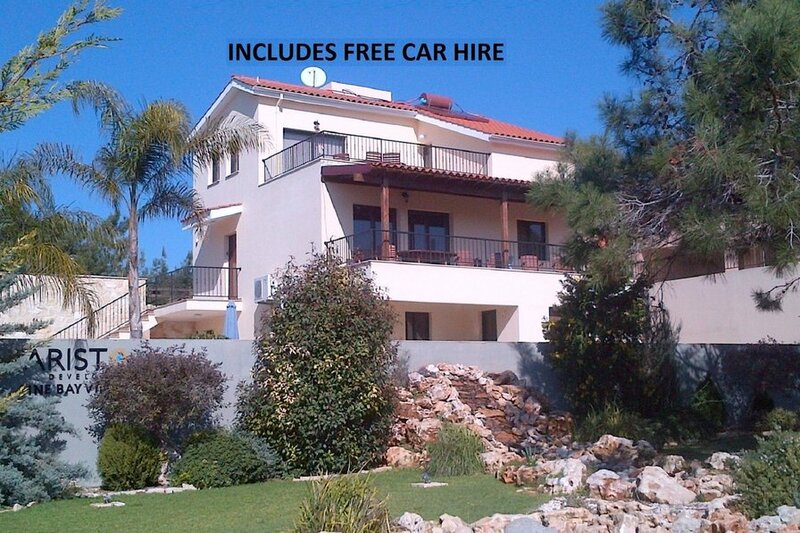 The car is available from the villa and will accommodate up to 5 people. It has air-conditioning, power steering, CD player etc. perfect for your holiday. All drivers must be specified at the time of the booking and all drivers must be older than 25 years of age and hold a valid driver’s licence for 5 years of more. There is no charge for the use of the car. We reserve the right to refuse use of the car should we believe it is being misused, mistreated or if the driver is under the influence. The car may not be used off-road and the rules of the road must be respected at all times. Insurance for the car is provided at no charge. 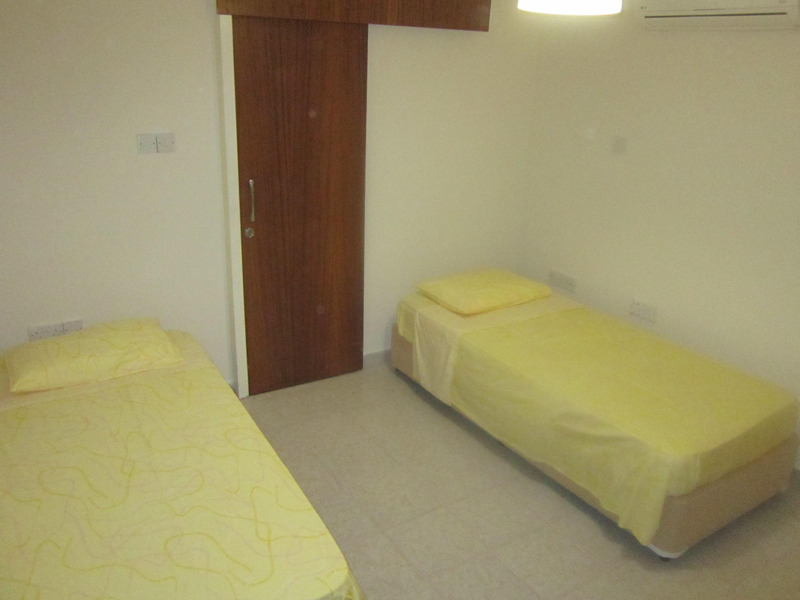 From the moment you wake up in the morning, you have facilities and things to do at your fingertips. Take a stroll down to the developments private clubhouse where you can order a whopping omelette or a freshly squeezed glass of orange juice, chill by the pool or just lose yourself with a good book. For those who like a little more activity, try a set or two on the tennis court or perhaps a few laps in the huge communal swimming pool (remember that the villa also has its own private swimming pool). A cross-country jog through the pine forest’s many paths will be a memorable experience. If the outdoors isn’t quite your thing, take a stroll to the local gym. Here you will find all the modern training equipment for your use or treat yourself to a deep massage in the in local spa sure to get rid of all the stress knots built up in your shoulders. Yoga, Pilates, aerobics etc are available at your beck and call. If you really want to spoil yourself, try the Columbia resort spa (8 min drive), this spa is world famous. 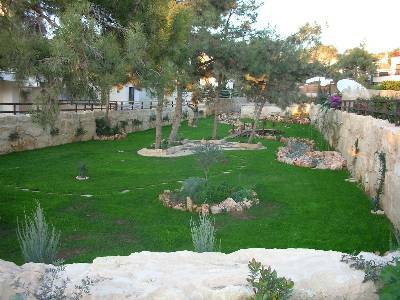 The villa is also perfect for nature lovers thanks to the protected pine forest. Bring your binoculars and you will be mesmerized by the variety of birds in the area, you will be sure to spot a few rare species to talk about. The most popular way to spend your holiday is on the BEACH. The blue flag beach of Pissouri is a short drive away. Prepare yourself for a fantastic day out in the sun! Jet skis, wind-surfing, paragliding, skiing and snorkelling are just the tip of the iceberg with all the facilities on the beach. Rent a paddling boat for two and amuse yourselves with memories in the making or just laze around on the sun beds available. Don’t forget the sunscreen! The beach is lined with beachfront restaurants and taverns. Whether you want to indulge yourself with a frozen yogurt or ice-cream, a quick bite, wicked salads or some of the best seafood restaurants in Cyprus...it is all available. Indian, Chinese, Greek, Cypriot, Lebanese, French, Italian, courtyards, open-air, fine dining, pizza house, fast-foods... it’s all here. You are absolutely spoilt for choice. No matter your choice of cuisine, you must try the local Pissouri wine. Anelys Organic Wine is a special Organic Wine, produced from grapes which have not had any treatment, fertiliser or pesticides. It is one of the finest organic wines in Cyprus. It’s produced by Fitos from the “Two Friends” restaurant and it is available at all taverns & shops in Pissouri. 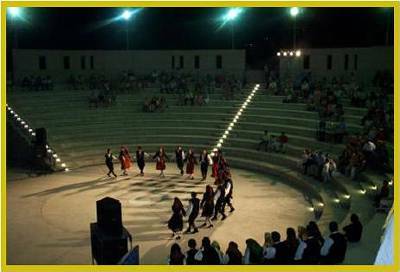 If there is one thing you MUST do when visiting Pissouri is to watch a live theatrical performance. This would be performed in the same way it has for thousands of years, in an open-air amphitheatre-WOW. This is the way theatre was meant to be viewed and it ALWAYS impresses any culture loving person. The amphitheatre can seat about 1200 people and the atmosphere is absolutely overwhelming. The views from here can be sold on postcards and they stretch as far as the Trodos mountains. Its truly breathtaking. Another famous event in Pissouri which is a must is the “Cyprus nights”. These Cyprus themed evenings are a great fun filled party that always lasts to the wee hours of the morning. It is hosted by several restaurants in the square that combine their efforts to make a grand outdoor festival atmosphere. The food is a buffet which is generally okay. 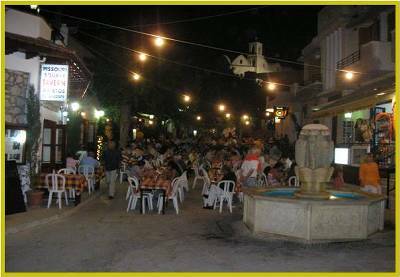 But you don’t go to Cyprus nights for the food... Greek dancing and dancers entertain you while you dine alfresco. A DJ and a live band keep the festivities going. These nights are tastefully done. It is a lot of fun and it always produces a crowed so please book in advance. YOU WILL DEFINITELY HAVE A BLAST. If there is any advice I can give my clients on holiday, it would be “come and see Cyprus”. Take a drive around there are thousands of historical sites, monuments, monasteries, museums, ancient ruins and many other sites you can spend time exploring. 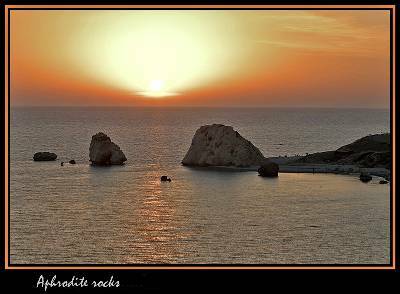 A short 10 min drive away and you will find yourself at the legendary birthplace of the goddess Aphrodite. It is so beautiful the legend insists that the goddess of beauty herself was born from the foam of the breaking waves of the sea. If golf is your game, the world renowned five star Aphrodite hills 18-hole standard championship golf course follows the scenic contours of the two plateaux that are divided by a central ravine. A premier Golf Academy and Pro Shop enhance your golf experience, while the Clubhouse offers delectable specialties and a breathtaking view to the golf course. The golf resort is a mere 15 min drive west. It can provide additionally provide you with MORE gourmet restaurants and pubs. A visit to The Retreat Spa at Aphrodite Hills is the ultimate in top-to-toe pampering for body and mind. It offers a cool serenity with monastic interior and tranquil surroundings, where superb facilities and an expert team of therapists tend to your every need. The Secret Valley Golf Course is also close by. 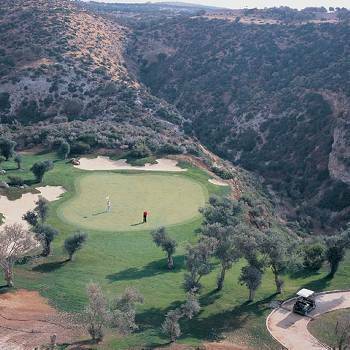 It’s a highly prestigious golf course located in the renowned area of "Petra tou Romiou", the legendary birthplace of Aphrodite, the Goddess of love. It is set in a scenic valley surrounded by mature trees and beautiful natural rock formations. The course is consistently appearing as the preferred course amongst the islands visiting players in terms of sheer playability and enjoyment. As its name implies, it has an excellent view of the rising moon at the right time of the month. 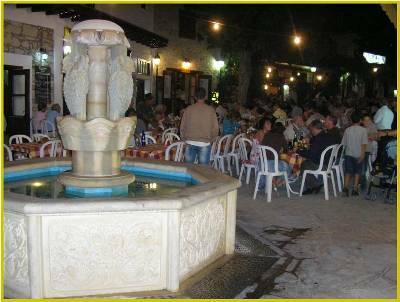 A traditional taverna menu, good food and good service - their huge pork chops are excellent and the best in Pissouri. Run by Marios, for his day job he is a goat farmer, and Antonious, who with his wife owns the cake shop. In the winter eat inside, in the summer outside under the moon and the stars. To find it, walk out of the village square, past the Hideaway and the two pubs, carry straight on, onto the road, turn right, and it is on your right. An excellent restaurant on the edge of the village - on the main road to the beach just as it leaves the village. A good menu and a full range of wines. Stelios and his wife do the cooking, with Fitos, who is also an organic grape farmer and runs the village services and administration, helping serve the tables. Marvellous views across the countryside towards the east and in the evening for the few days after a full moon, watch the moon rise as you eat. Now owned and run by Stavros & his wife, ably assisted by Antonious, the Bunch of Grapes was what made Pissouri “courtyard restaurants” famous. It has now achieved its ambition and it is now even better than ever. It is probably one of the very best patio/courtyard restaurant in Cyprus. Its food has always been heavenly perfection, exactly what it is imagined with Cyprus cuisine. The food and service are second to none. A visit to the Bunch of Grapes has become a must for all visitors to Pissouri, booking are necessary for Friday and Saturday evenings and Sunday lunchtimes. In the village square and is very Cypriot in character. All their meat is cooked over charcoal, with excellent service. In the summer eat out in the square. It is very popular and also participates when there is a Cyprus night in the square. The second taverna in the village square, run by the family who run the nearby Hideaway. The evening menu has been expanded to include Greek dishes and a range of simple grills. In the village square, open all day and until very late, offering a huge variety of pancakes and crepes, cooked while you wait. Buy one and take it to one of the bars to eat it with a drink. Now run by Andreass son as Andreas has opened the Flamingo. As its name implies, it is hidden away just off the village square. This is another of Pissouri’s famous “courtyard restaurants”. Good service and good food. Excellent for grilled meat, including steaks. Very popular with the residents and visitors alike. It also boasts an excellent dessert menu for those with a sweet tooth. In the village center serving traditional grilled meats, kebabs, pork & lamb chops. Excellent food, very low prices. It is perfect for a quick bite or for an informal dinner. A good restaurant, rather than a taverna, right at the very top of the village. A quality restaurant and the place to go for a relaxed evening when time is not important. One of the best restaurants to enjoy spectacular views. Extensive restaurant menu. Excellent steaks. Booking advised - closed on Mondays. Relatively new, high quality restaurant, not a taverna. Ideal for that special night out. Pleasant decor, varied and imaginative menu, prices a little higher than the average elsewhere. Swimming pool restaurant, marvellous view. Frequented by many English families for the use of the pool. Good food, and an English, rather than a Cypriot, atmosphere. In 2008 Andreas has opened the Flamingo Bar at the lower end of the Village Square. Enjoy a drink after your meal with a view of the whole square: seats will be at a premium on Wednesday when you will have a view of the Cyprus night. A traditional pub. Go out of the square past the Vraka. In the summer the street outside is full of tables. Excellent friendly service. Buy a pizza or crepe from the takeaway further along the street, or a kebab from the square, and eat it with your drink. No one minds if you buy food elsewhere and eat it with your food. 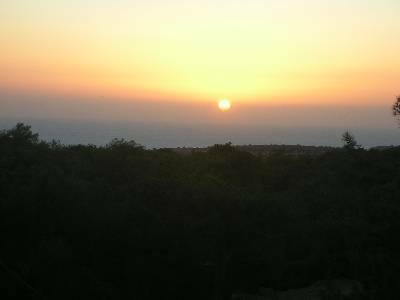 That is Cyprus, Pissouri in particular. Closes when all the customers go home, however late. A traditional Cypriot restaurant. Operated and managed by its owner, Athos, you will always enjoy the food and the informality. In the summer eat under the vines, and in the winter in front of a log fire. Cypriots regard his meze as one of the best. He is proud of his fish, and his lamb really is, as Athos says himself “the best in the area”. As they say about Cyprus itself, go there once and you will always return. Excellent live entertainment from May till October. Built to provide a view of the sea to its customers delightful views over the bay. A quality restaurant offering a quality menu, with excellent service. It is particularly good for fish dishes in which it specialises. Right on the beach front, the original beach taverna, now reduced in size to the side of the building. Offers drinks, snacks and meals throughout the year. The perfect place for a relaxing lunch with a sea view. Situated in an impressive relatively new building. Just across the road from Pepis. Can be seen as either a restaurant or a taverna, and for that reason often appeals to the more sophisticated. Family run. 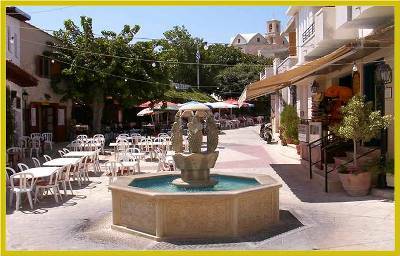 Has the prime position on the sea front, and like the other beach tavernas offers meals, snacks and drinks of all kinds. Along the beach towards the east, almost in front of Yialios, but almost on the beach. You cannot miss its yellow tables and chairs. Open in the summer for meal and snacks of all kinds. Well worth a visit. Situated on the beachfront road. This restaurant only opens for evening meals. Always good to get a curry if you are in the mood for one. Anoi Pub & Bar serves a large variety of draft and bottled beers, a new world wine list and quality fast-food favourites from steaks and potato skins to fajitas and spicy chicken wings, potato skins, mozzarella dips and spicy chicken wings. Hi Elizabeth, I’m glad your group had a great time. I hope to see you all again in the future. We stayed at the villa as part of a large group of friends (both couples and singles) from a rock climbing club. We also rented the villa next door. Villa Vouno was clean and modern; perfect for a group of friends as everyone had their own bathroom, and there was plenty of room for us all to sit together indoors, and outdoors. The twin room downstairs in the Annex has no windows but all the other rooms are great. The villa is about 15 minutes walk from Pissouru square, where there are lots of great restaurants. We spent a couple of evenings at O’Vrakas Taverna - which we would recommend (one one night we had the Meze and were begging them to stop bring food by the end!). Nick the owner was great - answering lots of questions during the booking process and organising an extra car for us. Their cleaner Debbie and her husband Mark were also fantastic during the week - helping out by bringing round items like light bulbs/extension leads, to make our stay even more comfortable. Pissouri is a good location - a nice village, with everything you need and lots of character, in an area where there is rock climbing (OK not for everyone), lots of great walks, fascinating historical ruins, and nice beaches. We had a lovely family holiday at Villa Vouno. The villa was really spacious and exactly as described on the page. We totally recommend it especially to large groups of people. 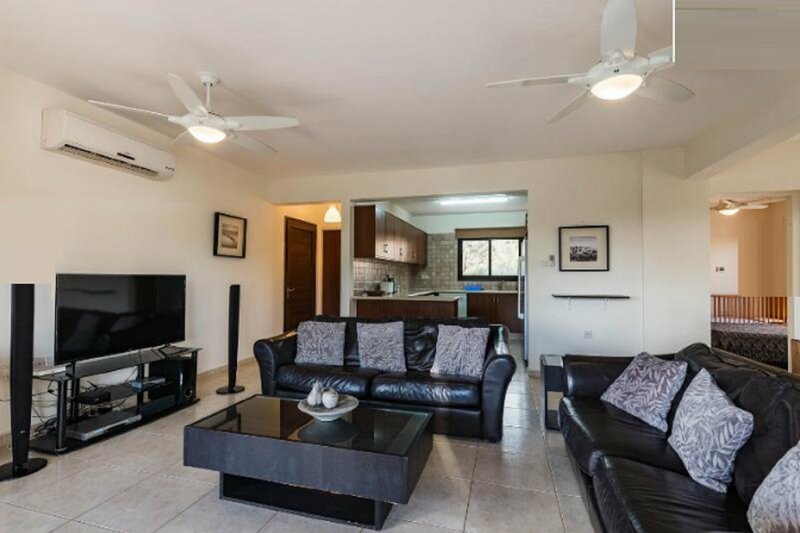 This villa is exceptional and suited our large group of family's.Free car hire is needed to get around.Pissouri village square is 15minute walk away with excellent local restaurants and very friendly.Local supermarket is 10minutes drive away and fully stocked with everything you need especially for the barbecue.Local beach 15minute drive away with all water sports.The villa has very large bedrooms with lots of wardrobe space,2 large kitchens that are very well equipped TVs and Internet. Nick the owner is a very nice and helpful man and sorted out taxis when we needed them. I do recommend when booking this villa that you book transfers from airport to the villa through Nick as we didn't and got totally ripped off by the taxis at the airport. We would go back to this villa again thank you Nick. Lovely Villa, One bedroom had no windows, a little disapointing, but overall a weell equiped villa with everything needed for a good holiday.